Still Knocking On The Door. Knock Boy again went close without the ultimate success at Folkestone today. 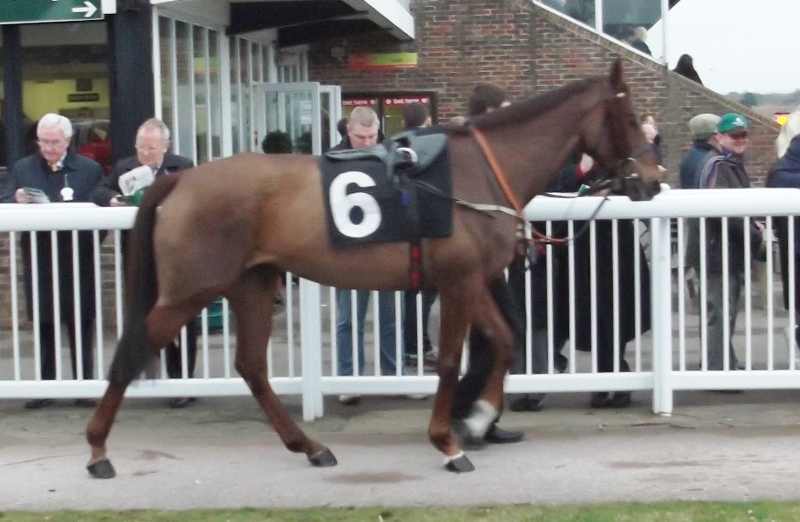 Ridden by Jamie Moore, he was settled in the group behind the leader and jumped well. He was well in contention coming round the final bend with Jamie trying to produce him as late as possible. He was cutting the gap on the leader approaching the last but did not put in the good jump he needed and lost a little momentum. He finished second, beaten 2 and threequarter lengths. Plumpton encouragement for the future. 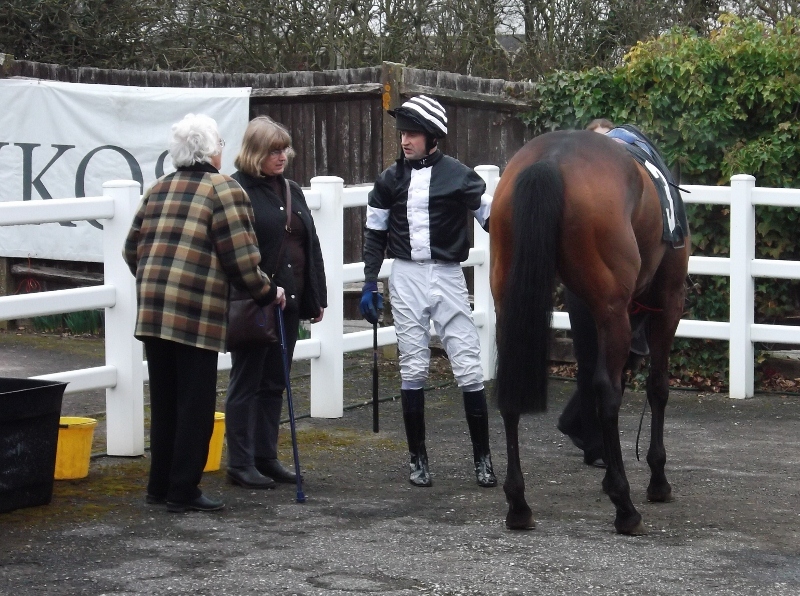 Three horses went to Plumpton today, and while none of them won they all gave encouraging displays. First up was She's Jolly in the mares novices chase. She jumped well and held her place until the last half mile. The highly rated odds on favourite pulled away and Jolly eventually finished 3rd. Although beaten a fair way she showed that she has ability and when she gets a handicap mark she should soon be fighting out finishes. Stable lass, Shannon Gates, won £25 with Jolly for "Best Turned Out". Andrew Thornton feeds back after Jolly is 3rd. Next up was She's Humble. She had been upped in grade after her win last time and found the pace set by these classier horses too hot to handle on the sticky ground. She eventually finished a staying on 4th. If the handicapper drops her back to 95, as he would be entitled to do after this, or Humble attempts a longer distance she could be close to winning again. She's Humble before racing today. 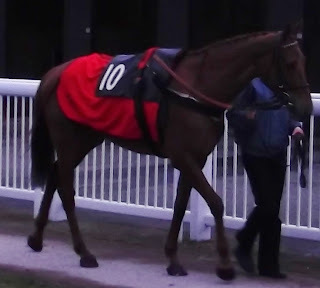 Finally Fifi L'Amour went to post in the gloom for a mares handicap hurdle. This was her first handicap and she had been given a mark of 95. She started towards the rear and gradually made progress to be in the leading group down the far side on the final circuit. She could not go on with the leading three up the home straight, but battled well to hold on to 4th. A small drop in the weights should see her in the mix at the finish. Fifi L'Amour in the fading light before her race. The horses and staff are back from their trip to St. Moritz which proved quite an adventure. Apart from Karen not being too well for the whole time, it was also the coldest February there for some years, with temperatures falling to -30 degrees. The intended English jockey cried off injured and had to be replaced by one who spoke no English and therefore struggled to understand orders in the prep race, the lorry bringing the horses back had to be put on a train to get down from the mountains as the roads were unfit, and at the channel the sea was too rough for the horses so they came through the tunnel, something only recently allowed. Calypso Magic finished well down the field in the big race but so did the other English raiders. Despite this a lot of fun was had and the owners seem keen to do it again next year.